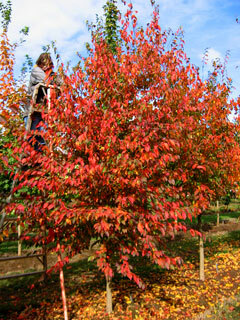 This versatile native species is ripe for cultivar development, and Native Flame® leads the pack into bright fall colors. 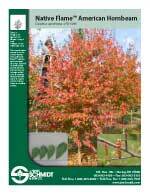 Selected for good upright growth and form, and especially for its bright red fall color. It combines the graceful informality of a native with the brilliant colors of a modern cultivar.